Isn’t this the spot on my trails where the boys sometimes hang out? I don’t see any boys now. All I see are a bunch of rock piles where the boys usually are. 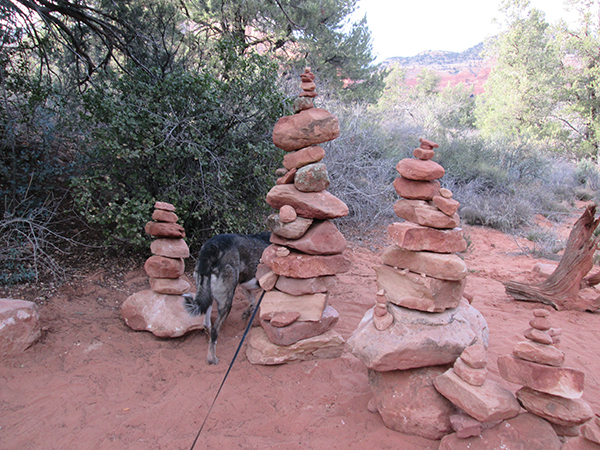 These rock piles are really tall. 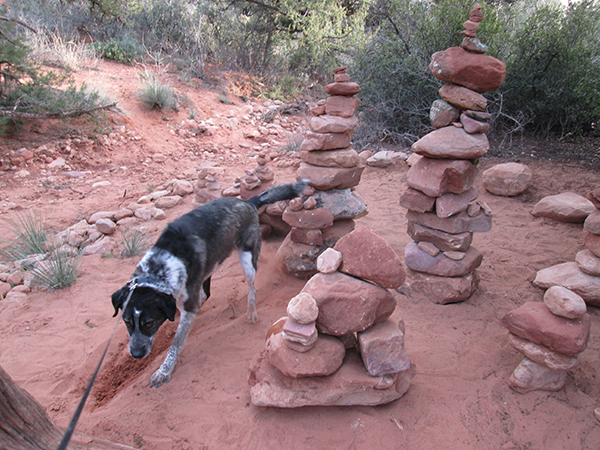 Rock piles have been sprouting up here and there on my trails lately – but I’ve never seen any this big. They must be special rock piles. But where did those boys go? Are they hiding back here? Maybe they’re hiding in the bushes. I don’t see those boys anywhere. I wonder if they hid underground. A sure sign that boys are here. 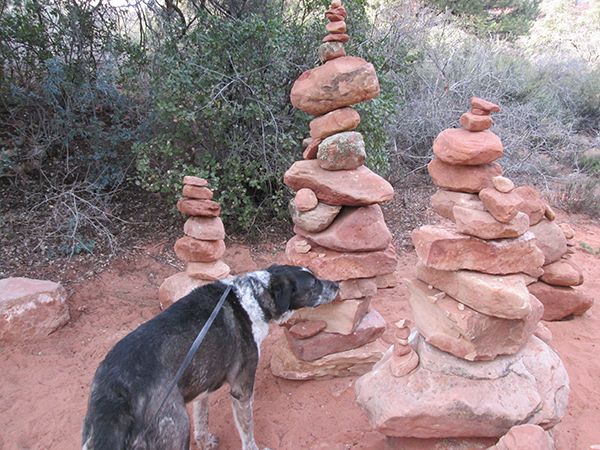 No wonder those rock piles are really tall. Someone turned those boys into rocks. Who’s going to go tell their mothers? Oh those poor boys! Oh… maybe they are like trolls. During the day they are rocks and during the night time they are boys. Oh no… you don’t think the boys could be trolls do you? Kimberly, now I’m really scared. Aren’t trolls really mean. Oh, but don’t trolls live under a bridge? I guess I’m safe. There aren’t any bridges on my trails. Oh good detective work Bongo. Glad to hear you are safe from trolls. 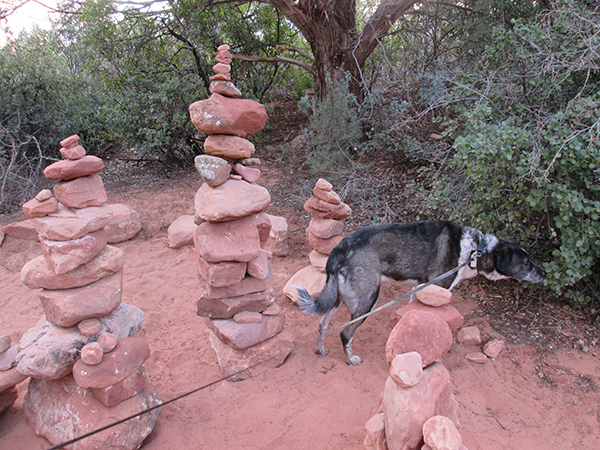 Those rock piles are very tall..are they tallboys? I do hope that they will not toppleover and injure a passing Bongo?…their moms will have peace and quiet whilst they are stoned!!!!!!!! Patrecia, they must be tall boys. 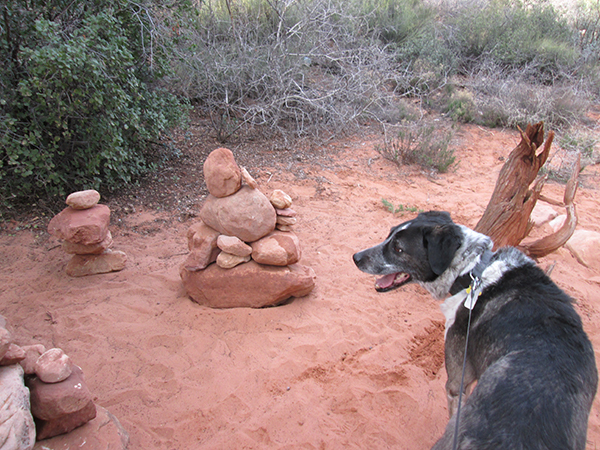 My person was concerned that I would topple those rocks over because a couple times I got my leash tangled in them. I wouldn’t topple over those poor boys. I must admit, when my boys played with air-soft rifles sometimes I wished I could turn them into stone… It’s good you’re on the alert Bongo, you’re walking paths have all sorts of adventures right around the next corner. 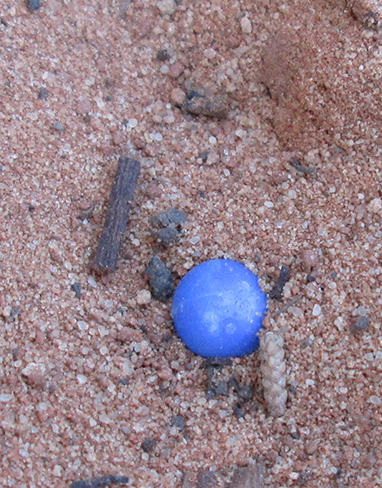 FireBonnet, my person still finds airsoft pellets around our house and yard sometimes and my younger person hasn’t played with airsoft rifles in a long time now. Good solve, B. Those rock boys look a little like snowmen, but without the snow. Well, maybe when the weather gets warmer, they’ll melt and be boys again. Cupcake, maybe that’s what happened to our snow this year. We got rocks instead. Although I think that means those boys are in trouble. The weather here is warm and they’re not melting. 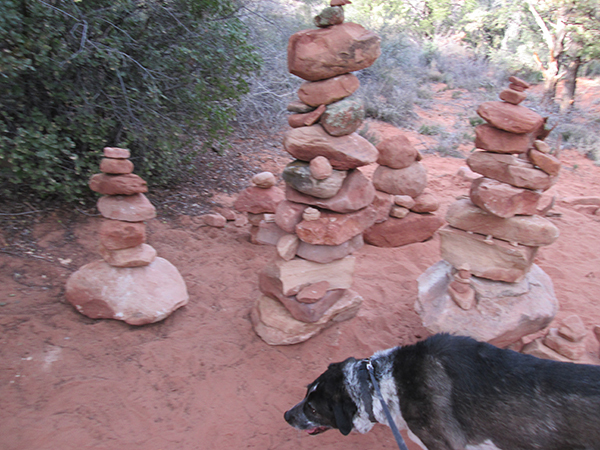 the boys look like they have been building things.. Bongo can you smell them on the rocks? Fredrieka, I didn’t smell much boy smell, but I left them a message. Good idea Marina. They should at least say “ouch” if I hit them in the right place. Lily, that’s what I thought but they must be hiding really well if that’s the case because I couldn’t find them. I wouldn’t hang around if i was you!! Yeah, I know Dalton. I might turn into the next rock pile. I guess that someone who has a magical power changed those boys into stones because they didn’t listen to him/her who told them to stop piling stones too high as it might be dangerous…. Oh no! You have to save those boys Bongo! Kevin, do you think if I knock those boys over they’ll wake up as boys? Maybe those boys weren’t supposed to be playing there & they got turned into rocks. Check the next time you get a rainstorm to see if they come alive. Diane and Lola, I did try to water one of them, but it didn’t do any good. Ginger, I hadn’t thought of that. When I get tired of taking my person on a leash… What person, I didn’t say anything.